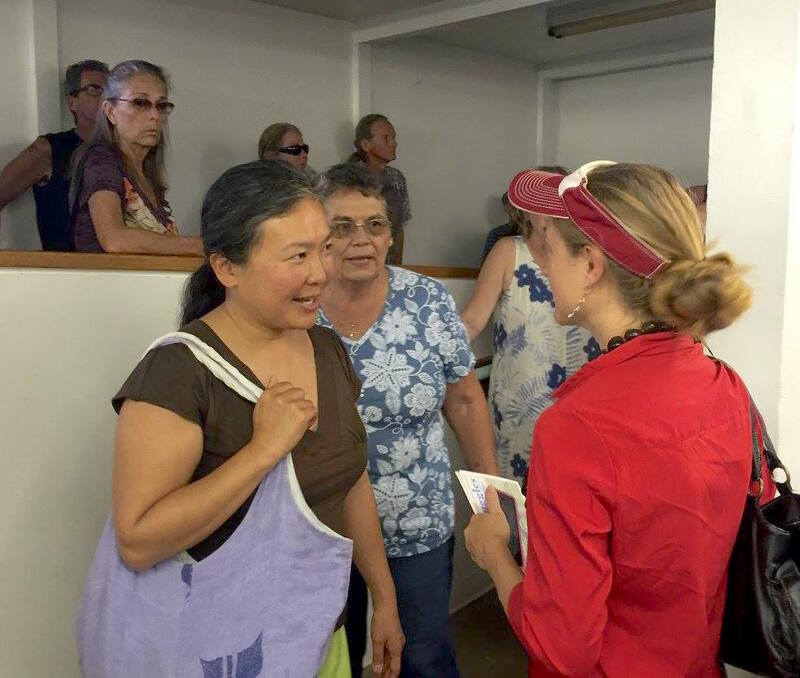 Jen Ruggles seized the golden opportunity to meet her County Council 5 District constituents. Her attention was focused on an important democratic event held on March 26, 2016, in her district. 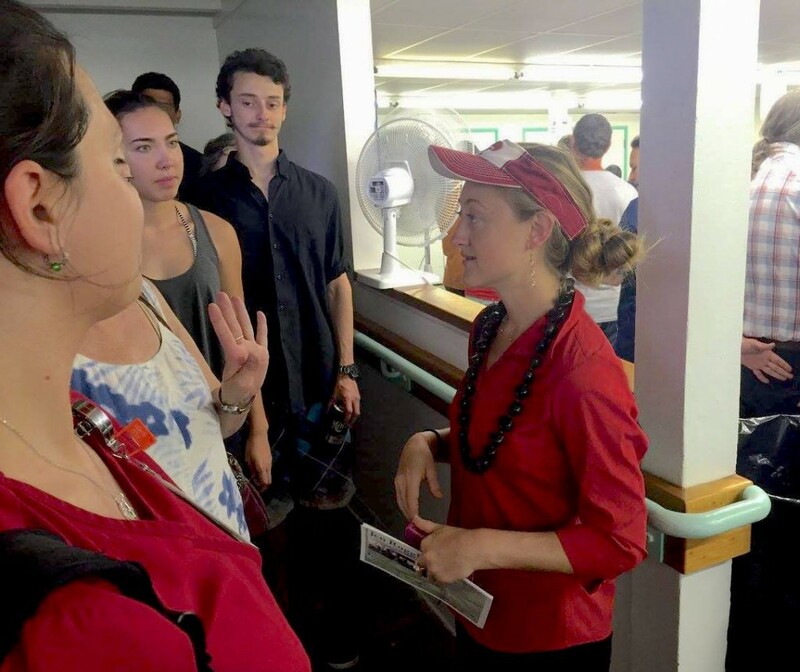 She launched an all out “meet and greet” session with hundreds of her registered voters at the Hawaii Democratic Party Presidential Caucus. The meeting location for District 5 Democrats was at the Keaau Community Center, behind the Keaau Town Fire Station. 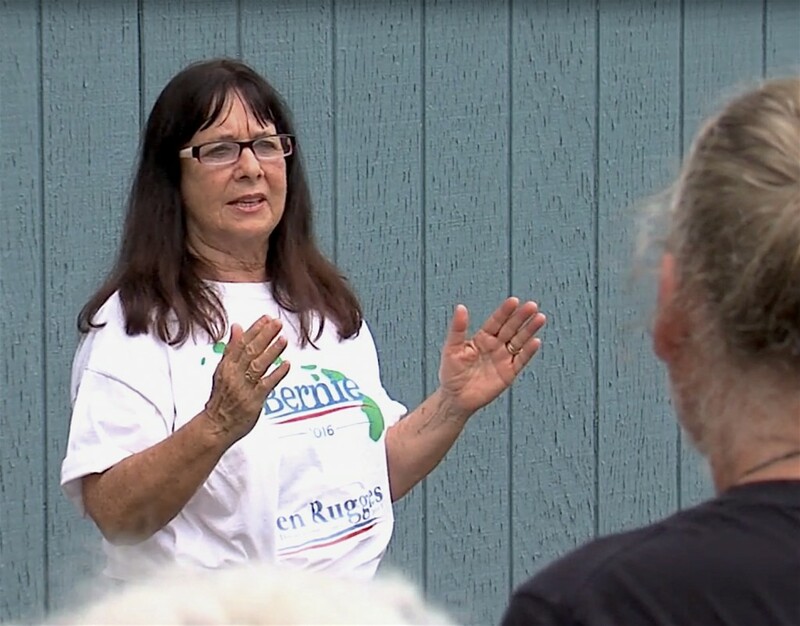 Hundreds of engaged Upper Puna Democratic Party voters were focused on the intensely contested race between Secretary Hillary Clinton and Senator Bernie Sanders from Vermont. This was District 5 citizenʻs best opportunity to make a statement on that crucial presidential race and the voters came out en masse. During that whole caucus process, our County Council District 5 residents got an opportunity to have one to one discussions with Jen on local and national issues. They met her both while waiting in the long lines winding up to the facility and later inside the building. 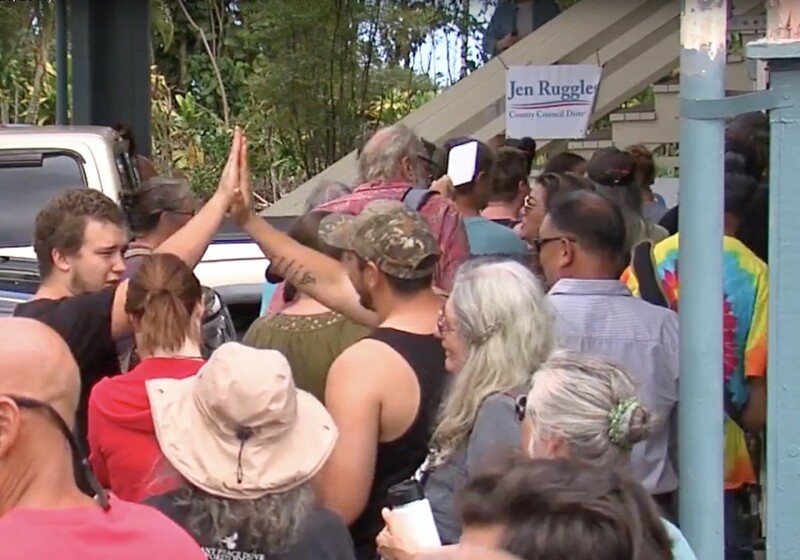 Jenʻs campaign volunteers had prominently posted a Jen Ruggles banner on the outside. (We could use more banners and BIGGER ones.) Jen and her volunteers passed out a stack of campaign literature to her constituents that day. This is grassroots campaigning on the ground From Puna, For Puna. Onward to the next election event. Join with us. 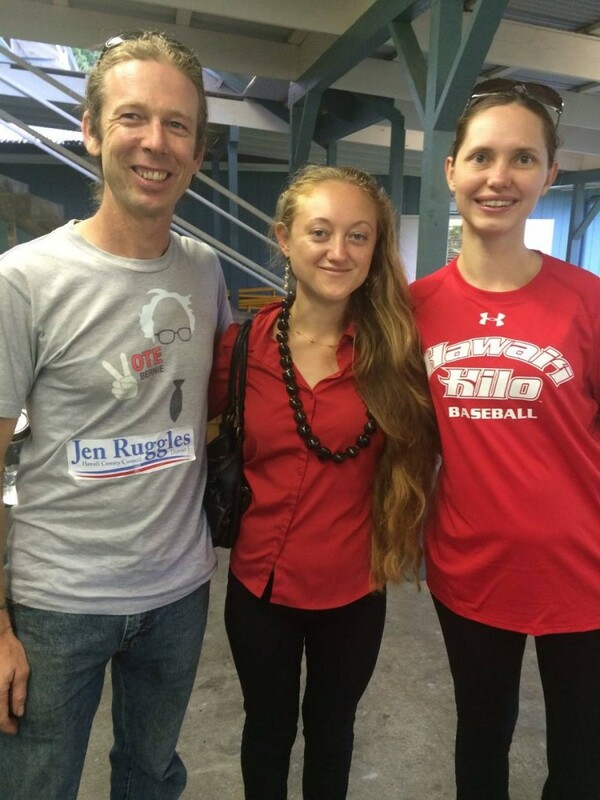 Absentee voting for Jen Ruggles, Punaʻs applicant for public service, begins August 1, 2016. Good government begins with connecting with our District 5 residents. Jenʻs District 5 constituents took this great opportunity to discuss their concerns and got to know her. Our volunteers were as helpful as they could be at this crowded event. Image courtesy of Dave Corrigan, Big Island Video News. Large crowds of engaged registered voters converged in Keaau, focused on one election event. Bigger Jen banners are needed. Image courtesy of Dave Corrigan, Big Island Video News. The friendly faces of our grassroots County Council District 5 campaign. Blake Watson (L) Jen Ruggles (C) Shannon Matson (R) owner of Hot Yoga Hilo and our on the scene photographer!